UPDATED, Mar. 5, 2019. Medicare Supplement Plan F, also known as Medigap Plan F, is the most comprehensive Medicare Supplement plan available. It covers all Medicare ‘gaps’, and is the only plan that includes both Medicare Part B deductible and Medicare Part B excess charges. It is also the most popular plan. 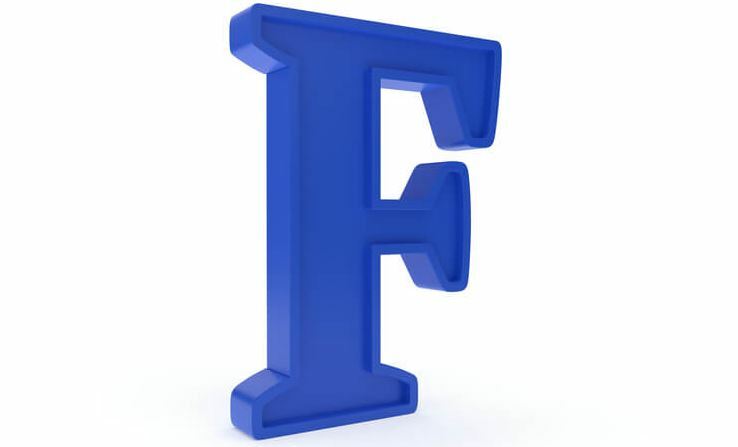 Like all Medigap plans, Medicare Supplement Plan F is standardized. Its benefits are the same and do not depend on the company offering the plan. However, premiums may be very different from company to company. Most Medicare Supplement insurance companies offer Medigap Plan F. Some companies offer only one of the two most comprehensive Medicare Supplement plans: Plan F or Plan C.
When is Medigap Plan F the right choice? Medicare Part A coinsurance and hospital costs up to an additional 365 days after Original Medicare benefits are consumed. Medicare Part A Deductible ($1,364 in 2019). Medicare Part B Deductible ($185 in 2019). Foreign Travel Emergency (Plan Limit is applied). High-Deductible Medicare Supplement Plan F is the same as Medigap Plan F, apart from having to pay the deductible amount ($2,300 in 2019) before your Medigap Plan pays anything. Naturally, the premium for the high-deductible plan F is substantially lower than the premium for the standard plan F.
How is Medigap Plan F different from Plan G? Does any doctor accept the Medigap Plan F? Are Plan F benefits depend on Medigap vendor? The benefits of Medigap plans are NOT dependent on vendors. All Medicare Supplement plans are standardized, i.e., any plan bought from one company is identical to the same plan purchased from any other company. Plan F premium, however, may vary from vendor to vendor. Does Medicare Supplement Plan F cover prescription drug plan? What is Medigap Plan F coverage of Foreign Emergency? Medicare Supplement Plan F pay 80% of the billed charges for medically necessary emergency care outside the U.S. after you meet a $250 deductible per year. When is Medicare Supplement Plan F the right choice? Because the Medicare Supplement Plan F covers all Medigap “gaps”, you won’t have any out-of-pocket expenses when you visit a doctor or hospital. This plan, however, is the most expensive. Select Plan F if the security and predictability of not having to pay anything out-of-pocket (other than premium) are the most important for you. 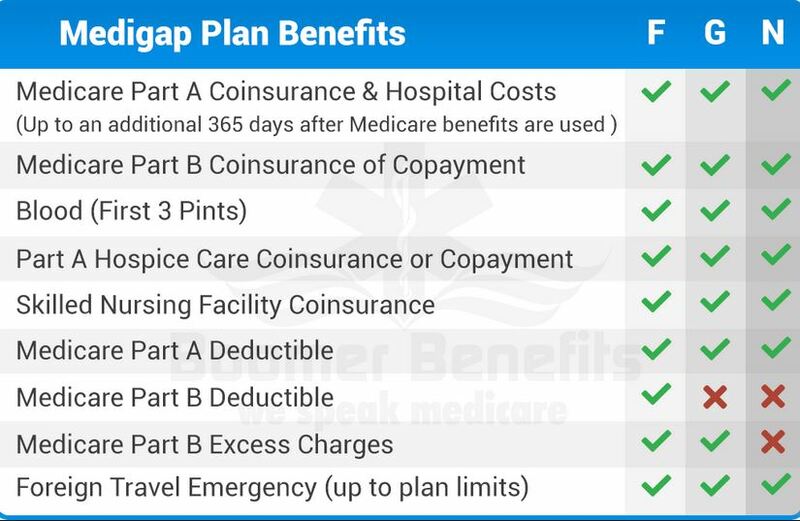 Medigap Plan G is identical to the Medicare Supplement Plan F, except it does not include the Medicare Part B deductible. 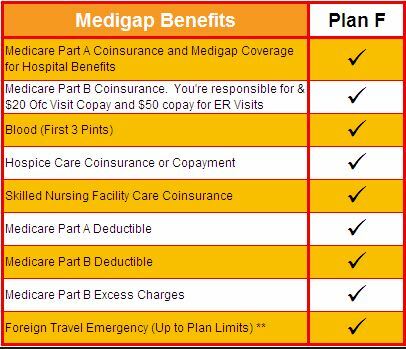 Use Medigap Plan F (if available in your area) if the Medicare Part B deductible exceeds the difference in premiums between plans F and G.
Medigap Plan C is identical to the Medicare Supplement Plan F, except Plan C does not include the Medicare Part B excess charges. Use Medigap Plan F (if available in your area) if the advantage of covering Part B excess charges exceeds the difference in premiums between plans F and C.
Starting in 2020, Medicare Supplement plans will no longer sell NEW Medicare Supplement Plans F and F High-Deductible. Congress has decided that new Medigap plans will no longer be allowed to cover the Part B deductible after January 1, 2020, and it affects Plan F. Anyone enrolled in a Medicare Supplement Plan F (or High Deductible F) as of 12/31/2019 will be “grandfathered” and able to continue with their plan (including coverage of the Part B deductible) as long as they want. With 10 Standardized Medicare Supplement plans available, it may be not an easy task to select the right plan. Not all Medigap providers carry all plans, and the difference in premiums for the same type of plan among different vendors may be rather significant. Take advantage of Liberty Medicare and find the Medicare Supplement plan that is best for your needs and budget. All our services are absolutely free to you! Learn more about all the benefits of working with Liberty Medicare.